Noto is an architectural supermodel, a baroque belle so gorgeous, brimming with history, people from every corner of the world and a rich culture that lives in the buzz of the city. Hailed as one of Sicily’s most beautiful historic centers for its hypnotic views in the early evening, when a soft glow hovers above the horizon. 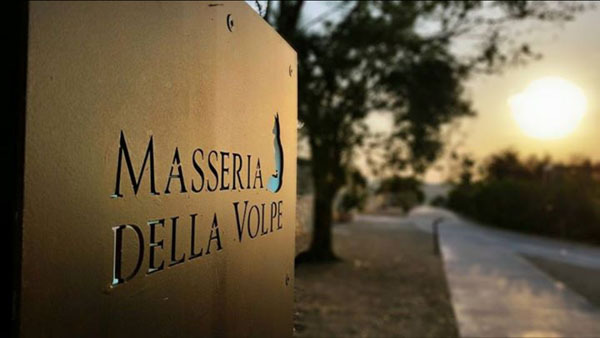 Situated right in the heart of the beautiful Noto Valley, in Casale Modica is the small luxury boutique hotel Masseria Della Volpe, which offers exclusive accommodations, fabulous services and amenities, plus fine cuisine in an idyllic rustic setting. Travelers who journey to the divine hotel, will find themselves on the steps of spectacular Sicilian Baroque churches, each with their own stories to tell of a past and a present, as well as houses and convents line the streets, displaying the unique culture and ways of life. 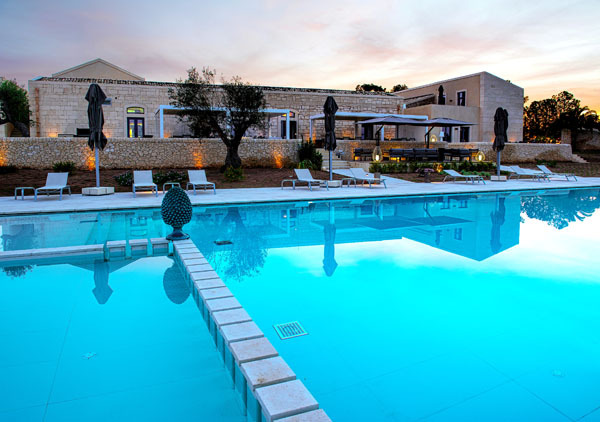 Surrounding the majestic hotel are a variety of fruit trees, olive groves and rustic gardens, to create an ethereal atmosphere boasting view of the island, following buildings and cobble stone roads down to the glimmering azure sea that lies beneath. Guests can choose from a variety of classic rooms, superior rooms, luxury suites and apartment options, perfect for a private getaway. All rooms are equipped with unmatched luxury and elevated comfort, with amenities such as spacious bedrooms with spectacular views, large bathrooms, and Flat screen LCD TV’s. 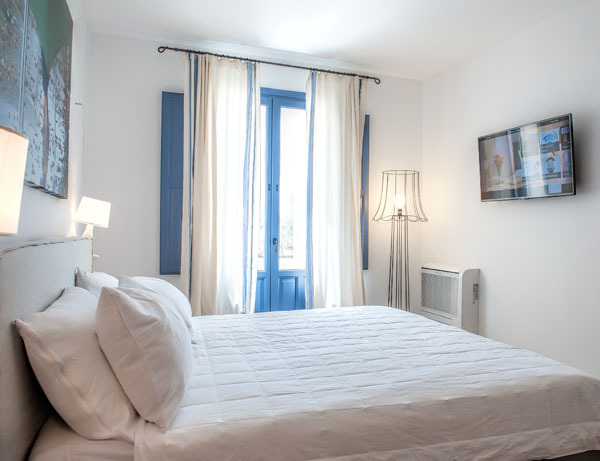 In each room you will find earthy tones, to reflect its surrounding of Noto, with an emphasis on timeless chic. The bold and vibrant blue tones are a nod to the sea and contrast smoothly with the cream and white shades lathered on walls, furnishings and throughout the hotel. The bathrooms are sleek and contemporary, but remind you of classic Italian design, complete with clean lines, and ample lighting. 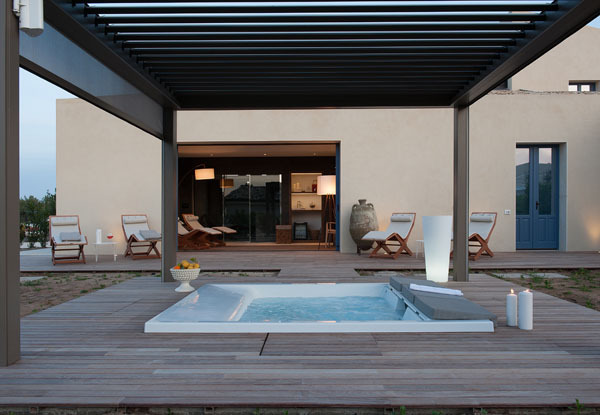 Masseria Della Volpe offers guests a quaint but exclusive wellness center, with treatments designed to relax the body and mind—perfect for a rejuvenating and recharging session. With facilities such as the whirlpool, Hammam, ice fountain and waterfall, your pampering needs will be satisfied with a hot towel and a glass of cucumber water. Some of the services offered include massage after sun, relaxing massage with Mediterranean essences, massage with olive oil with hot stones and deep moisturizing treatment with donkey milk. If a thrill is what you’re looking for on your Sicilian vacation, the sport and leisure offerings are the place to go. The large outdoor pool is equipped with comfortable chaises lounges and umbrellas, as well as a relaxed relaxation area where you can sunbathe immersed in the water cooler. For toddlers, the kid’s area has colorful and stimulating games to keep them entertained. If you’re a literary lover, or just like some peace, the lounge terrace is your open library, where you can enjoy a good book, while sipping on a chardonnay in front of sweeping panoramic views of all the beauty Noto has to offer. 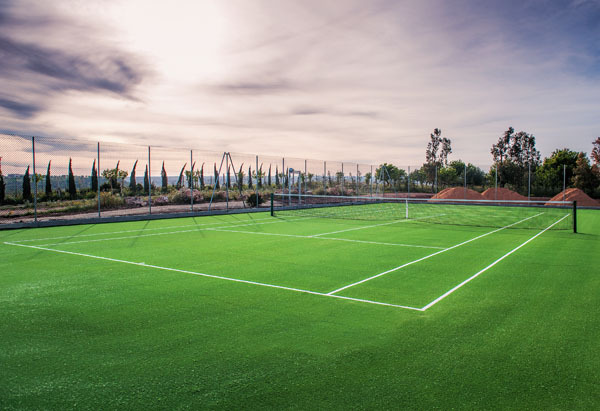 For the dad’s, the hotel offers externally arranged services for unforgettable experiences practicing your favorite sports. Spend a day out on a splendid 18-hole golf course nearby or channel your inner dare devil with windsurfing or kite surfing. If you love to fish, a boat ride can be arranged where you can fish until your hearts content or have a go at diving to observe the fascinating sea creatures that live below. The heliport is also available for guests who prefer to use an alternative means to visit distant but no less fascinating destinations—it is a breathtaking way to view the charming Noto from above. As Italians have a true passion for food, the Executive Chef Dario Marco Bettoni at Ristorante Codarossa believes in sourcing the freshest organic provisions to give guests a sublime gastronomic experience. He believes in sourcing the highest quality organic ingredients locally to take advantage of the rich provisions in the region. In addition to the cozy restaurant room, in spring and summer you can dine alfresco on the panoramic terrace overlooking the pool and the wondrous Noto Valley. 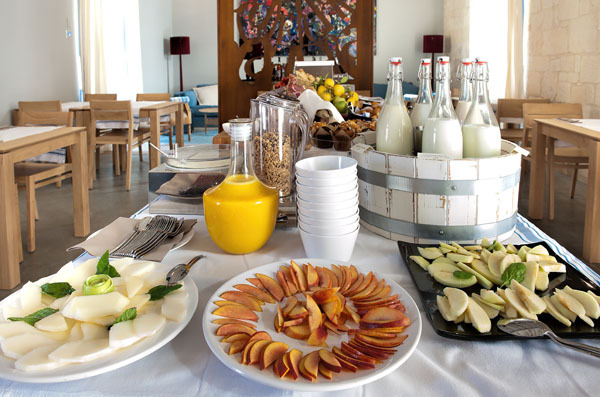 For an Italian breakfast experience, guests will indulge in homemade breads, typical Italian pastries, regional cheese, yogurts and natural ricotta homemade jams and juices, with the finest and freshest local ingredients. To truly experience Chef Bettoni’s extraordinary talents come for a romantic dinner and experience his beautifully plated dishes to taste the best of the region’s culinary traditions paired with fine wines from their expansive cellar. 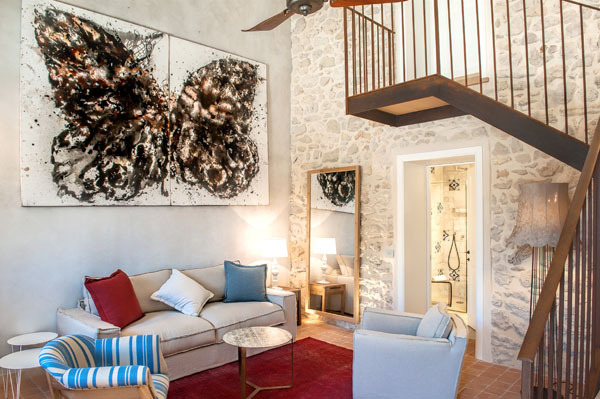 Hotel Masseria Della Volpe may be quant, but it is big on luxury and comfort offering travelers a marvelous environment filled with luscious green pastures, clear blue oceans and vibrant flowers, with the unforgettable architecture of that makes Noto such an alluring place to visit.